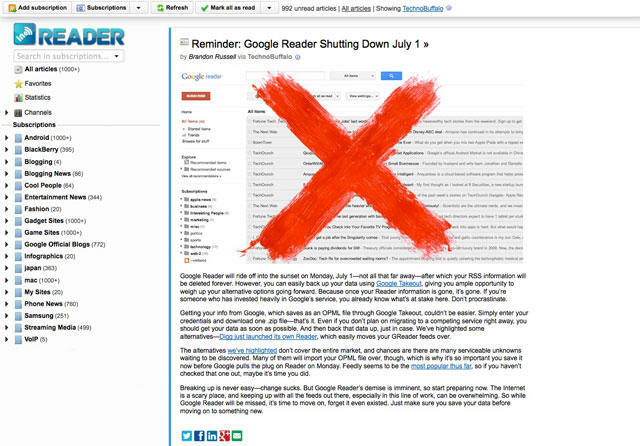 You have mere hours left before Google Reader shuts down for good. Once you’ve exported your Google Reader subscriptions, where to take them? While we already covered this a few months ago when it was first announced, the landscape has changed a tad, so it looks like it may be time to run down some of the best choices once again. This contender came out as a bit of a surprise as there really had been no rumors it was in the works. 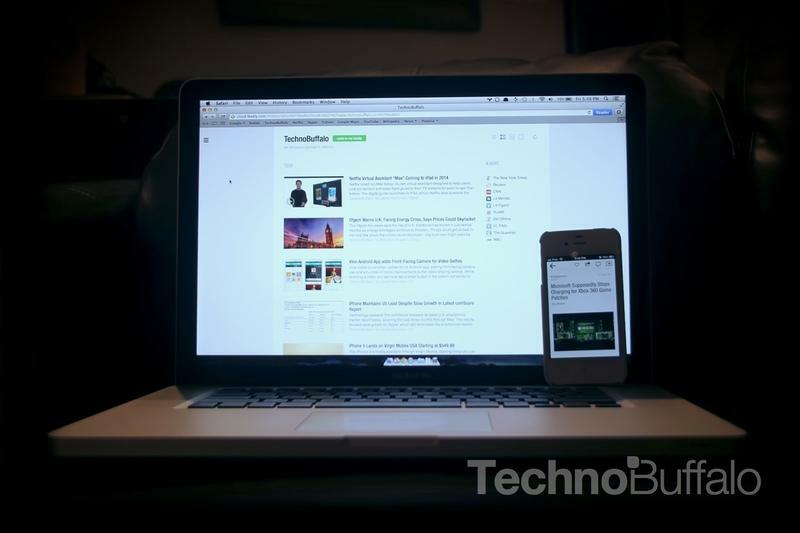 It visually feels quite a bit like Google Reader, and we’re sure that was on purpose. Due to the speed with this was built, some key features are lacking, but promised down the road. Seeing as it still has the “Beta” label on it, we can let it slide a bit. Digg, the site once known as the king of social sharing, was one of the first to announce that it would be working on a replacement for Google Reader. It only launched this past week, and there is still a lot of work to be done, but it’s obvious that the company is trying to build a fairly powerful tool. 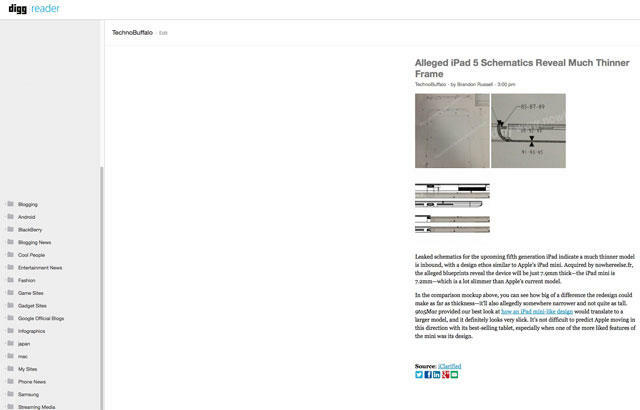 InoReader really has a nice feel to it, and, yes, it looks a lot like Google Reader. Some of the controls are even a bit more obvious without being obtrusive, which is nice. 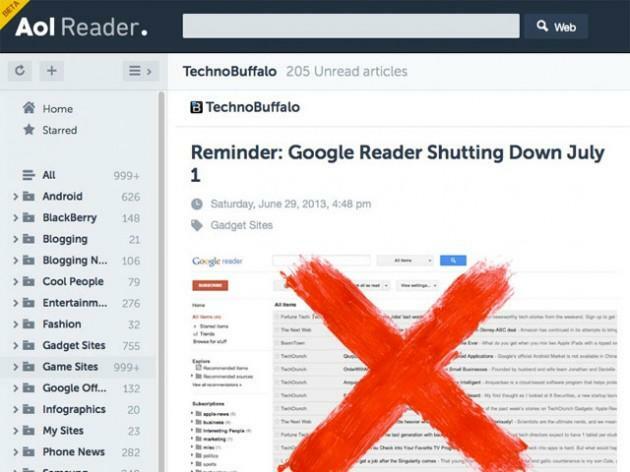 The Old Reader, as you may have guessed by its name, feels a lot like Google Reader, but there are some definite differences. It doesn’t feel anywhere as polished as we were used to with Reader, but you have to imagine some more changes are coming. 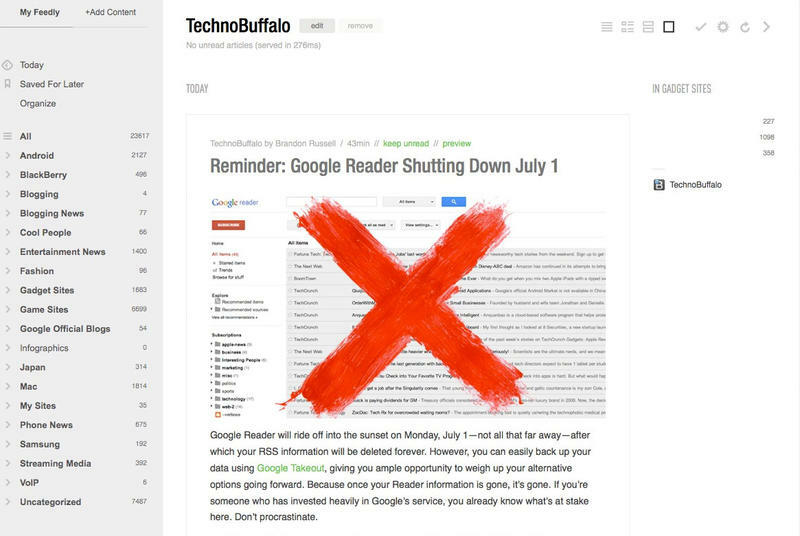 This was the winner out of the gate when the closure of Google Reader was announced, and it appears to be doing a pretty good job of trying to make sure everyone has all of the tools they need to keep their RSS feeds in order and streaming in. There are a ton more RSS readers out there, and it’s impossible to go through all of them. Let us know which one you chose and why in the comments below!